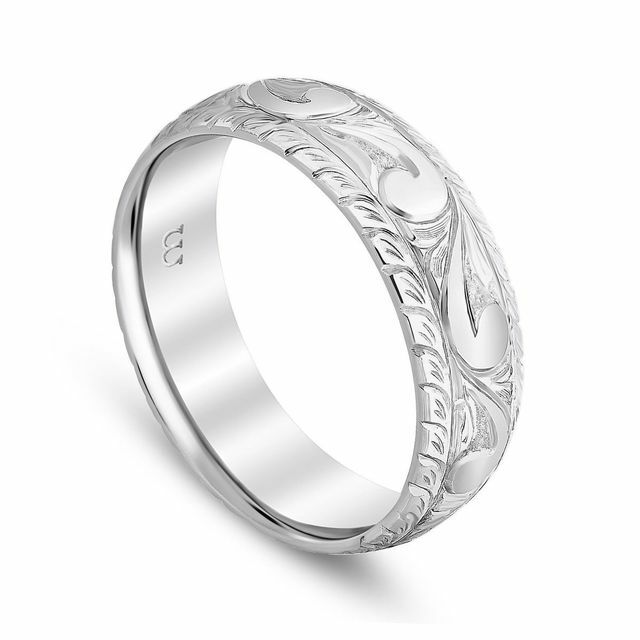 This hand detailed engraved band features a western inspired scroll work design. 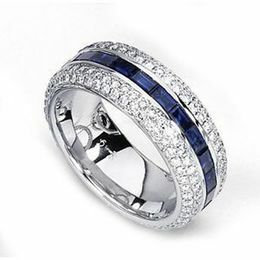 It is available in 4-9mm in width with a comfort fit design and can be ordered in 14 karat, 18 karat, or platinum. 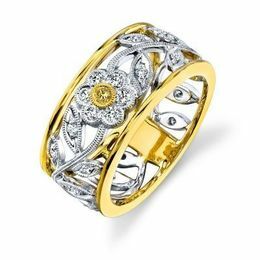 Flower Design Diamond Band by Simon G.
By filling out the following information you will immediately receive a $50 Gift Card via your email. Phone Get $100 more! Why?